Most of our website solutions are custom projects. Our website process is customized to meet your online needs and provide your business with a custom-tailored quality website solution for your business. Our quality service includes providing you with an excellent product with complete support. Quality service means professional websites designed to drive traffic, offer eye-catching visual presence, and with minimal maintenance. Click Here Designs can handle your complete project, from domain registration and email services to website creation & hosting. Please take a moment to review our website portfolio containing projects we have been involved with. Click Here Designs has been creating quality websites from Polson Montana since 1997. We have the skills and the knowledge to build your mobile friendly website on budget and on time. 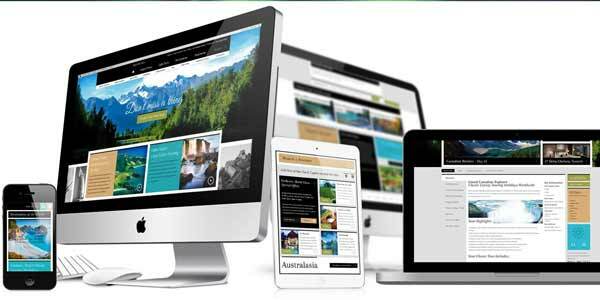 Our 20 years of building websites offers you the knowledge you need to have our website placed well in Google, Bing and Yahoo. In addition to your website Click Here Designs Website development can assist you with your online presence including assistance with your Google and Bing Business accounts as well as social marketing. Our website portfolio speaks for itself. Click Here Designs has created hundreds of websites. We specialize in custom programmed websites, real estate websites well as word press websites. We understand that the most important website we create is yours. You can visit our website portfolio or contact us to discuss your project..
Much has changed on the internet in the last 10 years, mobile usage has more then doubled while desktop usage has remained about the same. Word Press has leveled the playing field for do it yourself website creation and allowed the most novice user the ability to maintain a website. Click Here Designs can assist you with building your website, or simply offer you the tools you need to build your own online presence. Click Here Designs is a full website solution. Our lead programmer Michael Hewston has more than 20 years experience with servers and computer programming. If you are looking to maintain your own Word Press website he can assist you with doing so, offering one on one on site consulting services. If you would rather have Michael design and develop your website presence he can work with you to achieve most any custom result your business may need. From complete website creation and custom programming to consulting and do it yourself website tools Click Here Designs can assist you with your website in ways that a simple online store can not. We help businesses connect with people, and assist people with connecting with businesses. Connect with Click Here Designs at 406-883-6237 or make contact through this website. Your business is your most important asset... When in doubt, Click Here.